Britain's biggest property website says that average property prices for homes coming on to the UK market climbed to a record high this spring. 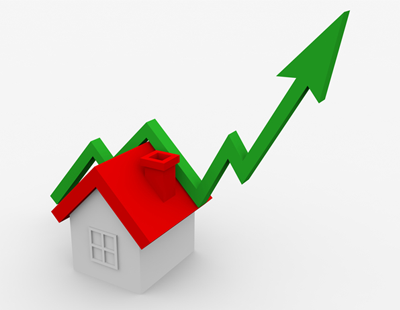 Rightmove's House Price Index indicates a 1.2% rise in April from the previous month, representing a rise of £3,626 over the month, and this is the fifth consecutive month of increases. The property portal says the average property was offered at £313,655, above the previous high of £310,471, of June last year. It adds that high buyer demand is behind the rise, and that it is seeing more sales agreed than at any time since the pre-credit crunch days of 2007. Equally, it insists that Brexit and political uncertainty ahead of the snap General Election have failed to halt the market's momentum, with year-to-date sales agreed 2% higher than in 2015, the last year an election was held. Every region of the country saw an uplift in prices, apart from London, where values fell in the month by 2% to an average of just over £635,000. Director of Rightmove Miles Shipside said: "High buyer demand across most of the country has helped propel the price of a newly-marketed property to record highs." "There are signs of a strong spring market, with the number of agreed sales achieved at this time of year the highest in a decade. While it remains to be seen what effect the run-up to the snap election will have, any slowdown will be counter-balanced by the current fast pace." "Indeed, in areas where suitable property is limited, hesitating could well mean losing out." The index also found: "	Home-owners with children aged under 11 are twice as likely as others to be moving, and so this group keeps the market moving. " The biggest price increase has been seen with typical family properties, which recorded a 5.4% year-on-year price jump. To conduct its research, Rightmove spoke to more than 2,250 of its users who had recently sold a home, are doing so now, or are planning to move in the near future. At Moore & Partners, with a total of over nine decades' market experience, we're ideally placed to help you if you're buying or selling this spring, and taking advantage of the market's current momentum. Speak to a member of the friendly, professional team today.